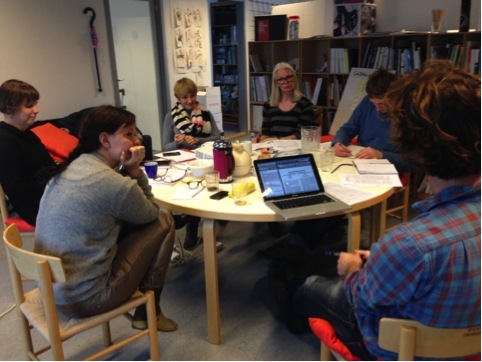 PhD researcher Rikke Baggesen has been visiting the codesign research cluster for two months. Here are some of her impressions about being part of the group. 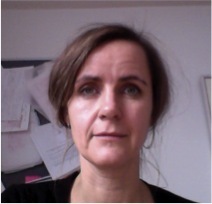 My research visit at the CoDesign cluster in the final weeks of 2013 has come to an end, and I’m now back at my home institution, University of Copenhagen/RSLIS. Fortunately, being local, I have however been able to join the cluster’s mini study-circle on mapping, and will be back in January to discuss interactions, map-making, (counter) cartography and more in connection with Paya Hauch Fenger’s PhD research into co-design of geo parks. This may be a little out on a tangent in relation to my own research into museums, fashion and mobile media. But if there’s one thing that’s been very clear from working in this environment, it is the value of collaborative learning in research. I’ve surely benefited from this when presenting my own project to the cluster, and from enlisting the group in an Interaction Analysis session around my video material. But I have also learned a lot from engaging in other ongoing projects, from discussions over lunch and from simply listening in on meetings and weekly round table catch-ups. Of course, I have experienced such benefits before, but the way that it is such an integral part of the work processes here is new to me. The CoDesign group’s dedication to sharing knowledge, insights and uncertainties, not only in the projects they are collaborating on, but also when in comes to engaging in individual research conundrums, was something that struck me when I first came, and still something that seems to me a unique quality of this cluster. Which is sad, really, that it should be a unique quality and not a more widespread approach to research. I for one would love to see this kind of academic interaction spreading, and will definitely see if I can plant a seed back at my own institution.